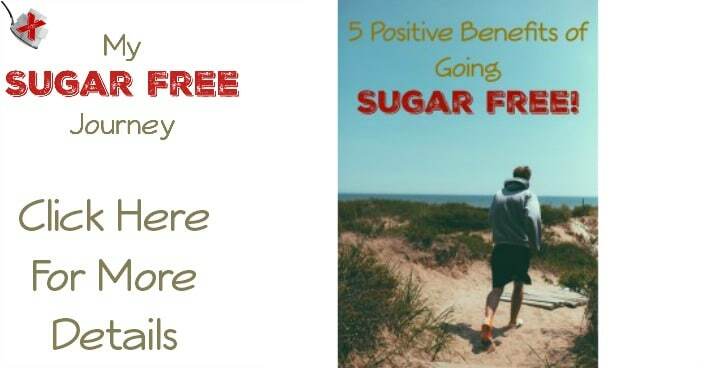 5 Positive Benefits of Going Sugar Free! 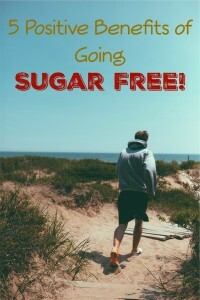 After a couple years of first reducing the amount of sugar I eat, then finally cutting it out altogether, I can tell you that I have been pleasantly surprised at the myriad of positive effects it has had on my body, my health, and my relationships. I kind of expected (hoped!) to see the weight loss but I was really amazed at all the other things that have happened to me. There was a time that I just assumed I was always going to be obese and there wasn’t much that could be done about it, but now I can foresee a time when I could look at my body in the mirror and see someone thin and healthy. Here a few of the Positive Benefits I’ve seen in my life once I cut out the sugar. Weight Loss – Honestly, this was the big one. If I hadn’t expected to lose weight once I started this journey, I probably never would have done it. I chronicle my weight loss on my Weightloss Wednesday posts and I use 300 lbs as the starting point because that’s what I weighed on January 1, 2016 but what I don’t make a big deal about is the fact that forever ago, long before I started this blog, i was tipping the scales at over 400 lbs. I don’t know how much over I was because I didn’t have access to a scale that would actually weigh me. The highest number I’ve ever seen on a sale was 388 but looking back at those old pictures, I know I was somewhere north of that. But I’ve come a long way since then and I have been excited to see the weight on my scale every morning. More Energy – This was one of those benefits I really didn’t expect to happen. In fact, if you had asked me at 400 lbs what my energy level was, I probably would have said that it was fine because I just didn’t know any better. But I also liked to take naps and did little more than watch TV at night, I just didn’t know what “high energy” meant. Now, even though I’m still way above my target weight, I can feel how much more energy I have. I don’t take naps and I can do moderate physical activity (like play with my grandkids) without feeling that I need to take a breather afterwards. Decreased Joint Pain and Headaches – I really debated over this one because I’ve since learned that it probably wasn’t the sugar that was causing this but I wanted you to hear my story. I used to have a lot of pain in my knees and ankles, mostly in my right leg. It would really flare up on Saturdays when I was roaming around Walmart getting my Reverse Coupon Matchups research done for my other site. Once I started cleaning up my diet, the pain dissipated over time and now the only time I really feel it is when I spend all day on my feet. At the time, I just assumed it was because of the sugar but after reading Dr Perlmutter’s excellent book Grain Brain, I now believe that this benefit came more from the fact that when I stopped eating sugar, I also cut out most grains as well. According to Perlmutter, grains are a natural inflammatory agent in the body and can cause joint pain, headaches, arthritis, ADD and a host of other common medical ailments. Better Mood Control and Mental Focus – There was nothing worse than me on a sugar crash, I would pretty much just roam around the house like Godzilla through Tokyo griping at all of life’s little annoyances. Now I am generally in a much better mood and have the ability to focus on tasks for longer periods of time. Generally, I feel like I have a greater measure of self-control and have the ability to make better choices about how to react to what life brings me. 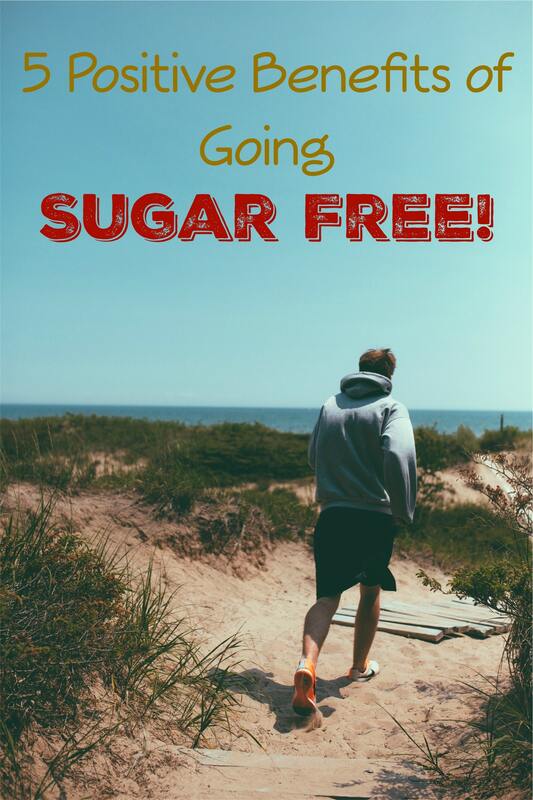 Have you noticed any benefits from not eating sugar? I would love to hear about them in the comments! PREVIOUS POST Previous post: My Sugar Free Meal Plan For February 11th – February 17th! NEXT POST Next post: Sugar Free Cucumber Dill Salad Recipe! I know I have too much sugar in my diet and I need to change that. I think looking at the end results of changing to a sugar-free diet will help me keep me on track. I especially like how you mention that you felt like you had more energy after making the switch. I want to have that, so I’ll for sure be making the change. Thanks for sharing your journey! That’s so great to hear. I am so glad to hear that what I’m doing is helping others. If there is anything I can do to help you out, please let me know. I get it but that’s the addiction talking. It’s like someone saying they want to quit Heroin but don’t want to miss out on the great feeling that comes with it. You need to focus on the T2D and other chronic diseases you will be missing out on. Besides, there are sugar free options to every thing. Hi, well done on your weight loss and new lifestyle. I believe sugar is poisonous and my own experience is that abstinence is the only way to succeed. I lost 7 stone not eating sugar but as soon as I started eating it again I’ve piled on 4 stone back. I now know I have to be sugar free for life. Yeah, this is something there isn’t enough information about. Once you have been fat, the chances of you being fat again are MUCH higher. The same factors that caused the weight to get packed on in the first place are still there. You just can’t ever go back to your old way of eating again without regaining weight. So true! I guess I didn’t want to accept that I could no longer eat sugar and thought I could handle having the odd dessert or cake. A good lesson to learn. I’ve just found your podcast too which is great! Oh, I’m so glad to hear that. I love doing my podcast even if no one listens so it makes me happy to hear someone else enjoy it.